Whatever your requirements you can be assured that our modern volumetric mixers are able to provide our clients with freshly mixed concrete exact to the specification when and where you want it. 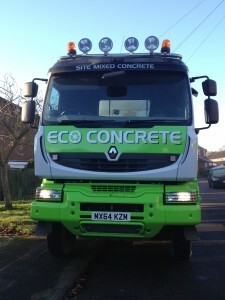 For your convenience we are able to provide a choice of concrete strength in a single delivery, so even if you are unsure of your exact requirement, you can be certain our flexibility will have your project covered. Only pay for what you require, from minimal load to full load. 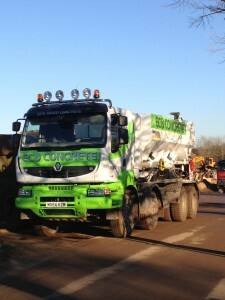 Large volume mixing, meaning we can mix over 9m3 of concrete in a single load. 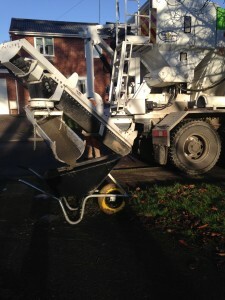 No need for expensive waste disposal methods, no waste on your site. Fresh concrete on arrival enables you have the maximum working time on your project. Our Trucks come with complimentary use of two of our wheelbarrows.